Phew…I’ve been in a bit of an astronomy rut lately, so I’m very glad to have finished this one. That said, this data was fantastic. Same equipment, 4hrs Ha, 2hrs RGB from the pitch black skies of Marfa TX. 5 min exposures, ISO 400. 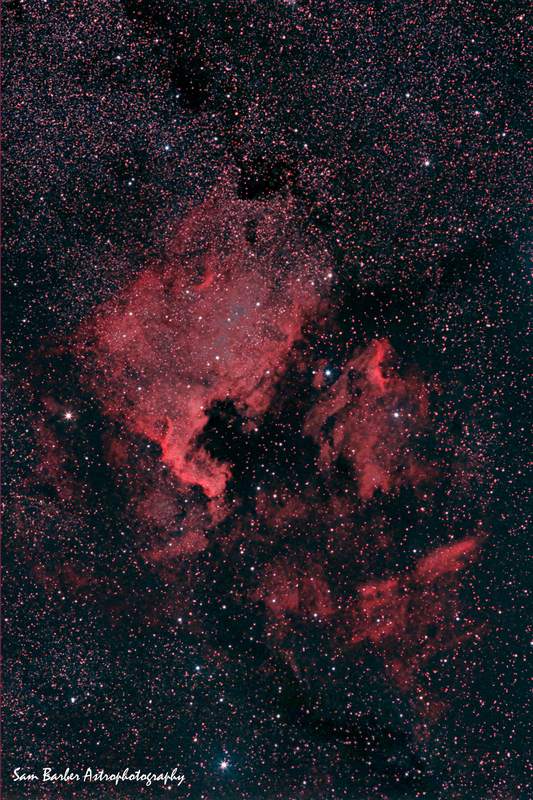 The North America nebula is in fact very large, but it’s low surface brightness makes it nearly impossible to see in a telescope. It is just east of the bright star Deneb, a reflection of which you can see on the right hand edge of the image.